American-born actor Esai Morales got his breakout role in the 1987 biopic La Bamba and his career has continued on a steady rise ever since. The highly versatile actor has recorded several notable acting credits in the course of his career both on the big screen and the small screen. He became popular among TV audiences in the early 2000s when he played the main role of Lt. Tony Rodriguez on the hit police drama series NYPD Blue. More recently, he landed a spot on the main cast of the long-running action series NCIS: Los Angeles starring as Deputy Director Louis Ochoa. Morales also featured on the National Geographic network sci-fi series Mars. This Hollywood star was born Esai Manuel Morales, Jr. on October 1, 1962, in Brooklyn, New York and he has Puerto Rican ancestry. His parents are Iris Margarita (née Declet) and Esai Morales, Sr., a welder. Morales attended the High School of Performing Arts in Manhattan, New York and began his career as a stage actor in New York before eventually delving into screen acting. Morales marked his feature film debut in the coming-of-age crime film Bad Boys (1983) which was headlined by Sean Penn. He appeared in a couple of indie movies afterward and landed minor roles in several TV series. He got his breakout role in the biopic La Bamba (1987) starring as Bob Valenzuela, a real-life ex-convict and half-brother of the late Mexican music star Ritchie Valens. His career got much busier soon after and he got featured in several films starting from the late 1980s. The talented actor had roles in Naked Tango (1991), Rapa-Nui (1994), My Family (1995) and The Disappearance of Garcia Lorca (1997). His career has remained pretty steady since the turn of the century and he has recorded quite a number of film credits including Paid in Full (2002), Kill Kill Faster Faster (2008), La Linea (2009), Gun Hill Road (2011), Playin’ For Love (2013) and Superfly (2018). While Esai Morales may not have scored those major blockbuster movie roles in the course of his career, he fared very well in terms of small-screen credits. He got his first major television role on the miniseries On Wings of Eagles (1986). He guest-starred in many TV shows afterward and also featured in telefilms like The Burning Season (1994), Circle of Deceit (1998) and Atomic Train (1999). He later had a recurring role as Paco Corrales on the drama series Resurrection Blvd (2000-02). Morales got his biggest television role on the police action series NYPD Blue (2001-04) in which he portrayed the character Lt. Tony Rodriguez. He was a part of the main cast of the series from the 8th to the 11th season. He was also on the cast of the drama series American Family (2002-04). He has also been on the main cast of other TV shows like Jericho (2008), Caprica (2010), From Dusk Till Dawn: The Series (2015), The Brink (2015) and Ozark (2017). Worthy of special mention is the 8-part series Los Americans (2011) in which he played the lead character and also doubled as the producer. 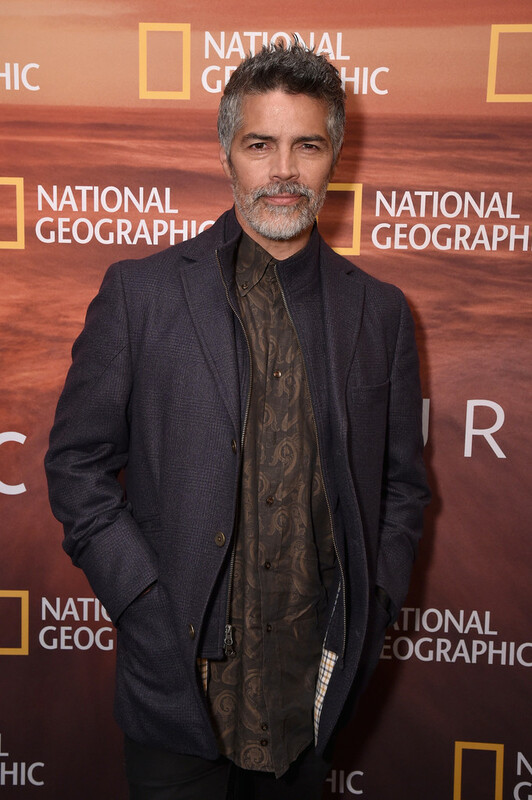 Esai Morales was featured in season 10 of the long-running hit police series NCIS: Los Angeles (2018) starring as series regular Deputy Director Louis Ochoa. He also portrayed a recurring character Roland St. John in the 2nd season of the sci-fi series Mars (2018). Esai Morales’ brilliant acting has fetched him a number of accolades as the years roll by. His role in the biopic The Disappearance of Garcia Lorca (1997) earned him a Best Actor nomination at the 1998 American Latino Media Arts (ALMA) Award. He received the Best Actor Award at the Los Angeles Asian Pacific Film Festival for his performance in the Indie film American Fusion (2005). His performance in the film Gun Hill Road (2011) earned him the US Best Actor Award at the 2011 FilmOut San Diego Film Festival. He also got a nomination for the Imagen Foundation Award for Best Supporting Actor for his role in the 2015 movie Spare Parts. Esai Morales won the 2002 ALMA Award for Outstanding Actor in a Television Series for his work in the highly-acclaimed series NYPD Blue. For his lead role in the series American Family (2002), he was nominated for the Prism Award and the Imagen Foundation Award Best Actor in a supporting role. Morales got his 3rd ALMA Award nomination for his role in season 2 of the action series Jericho (2008) though he did not ultimately win. He also received an Image Award nomination for his role in the made-for-TV film We Have Your Husband (2011).